Craving the smoky flavors of mesquite, hickory, cherry, and more? 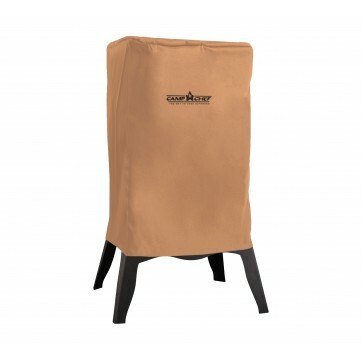 Now you can get them right on your back porch thanks to Camp Chef’s Smoke Vault 24”. 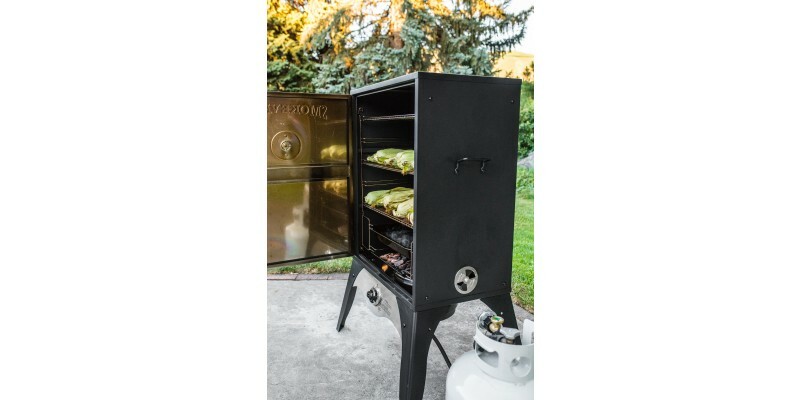 This smoker takes the complications out of smoking and gives you a straightforward, classic cooking experience. 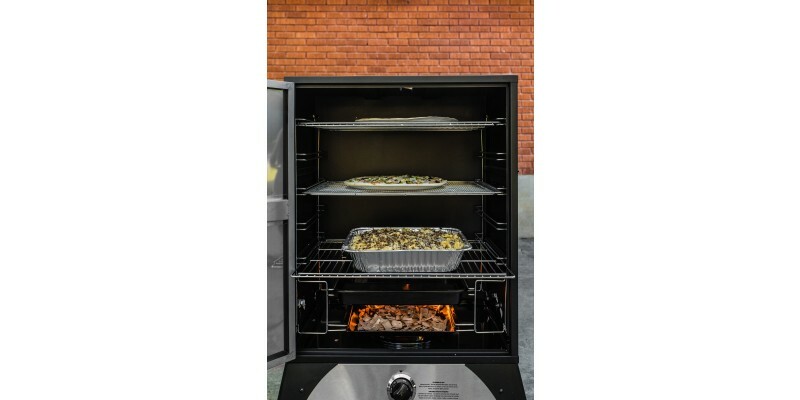 With its heavy-gauge steel wood chip tray and water pan, the entire vault will fill with smoke and infuse your food with the delicious flavor you want. Fully adjustable heat-control dials, three damper valves, and a door thermometer will help you control internal temperatures. 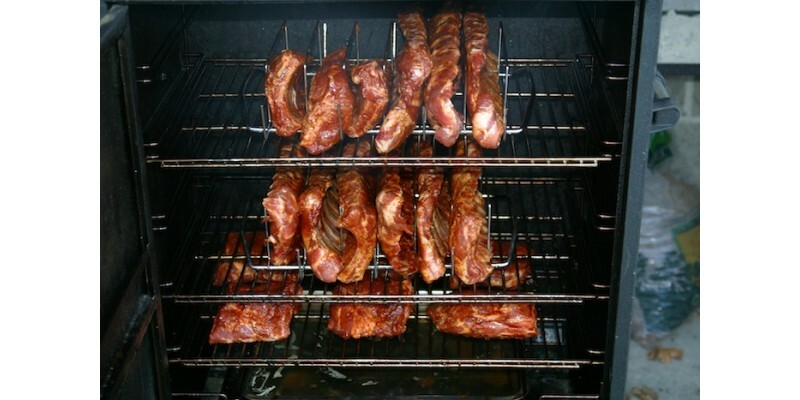 Cooking temperatures can vary from 160° F to 350° F. If you’re new to smoking meats, we’re here to help. Check out the included cooking ideas, tips, and recipes to get started. 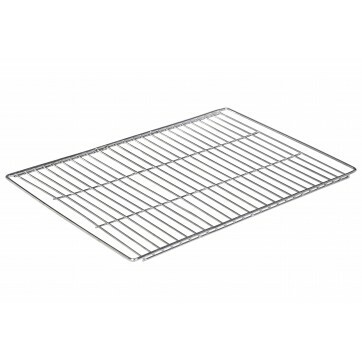 Unlock the possibilities of the Camp Chef Smoke Vault. 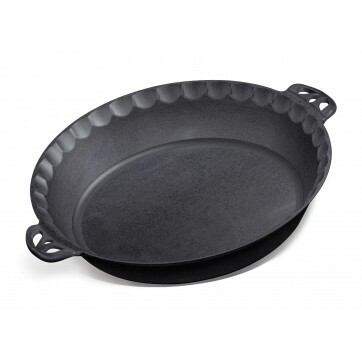 Camp Chef Smoke Vault 24" is rated 4.5 out of 5 by 10. Rated 5 out of 5 by Melville from Works Great [...] Very fast I thought. Set up was easy. Seasoned it Friday night and used it Saturday. 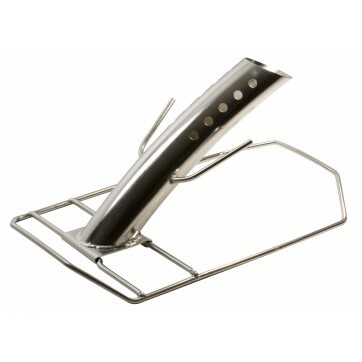 Use to be a charcoal BBQ'er but got tired of trying to keep a constant temperature. The smoke vault is so easy to use. I set the temp in morning and just added chips every few hours. At one time I had a brisket, a tin of potatoes, a tin of chicken wings and asparagus. There was still room for more. Look forward to using it as a second stove, especially in the summer when you don't fell like heating the house up to cook in the oven. Great product and great service. Rated 5 out of 5 by Juleez from Our Thanksgiving Turkey was Awesome We got our Smoke Vault (24") a few weeks before Thanksgiving. Anxious to try it out, we smoked a 12 lb. turkey in about 2 hours. It was so delicious and tender. We put it in a brine for a few hours and used the Turkey Cannon as well. It was a good preview for the larger bird on Thanksgiving. _x000D_ For Thanksgiving we cooked a 20lb. turkey at 300 degrees for about 3 1/2 hours. We put it in a brine overnight and again used the Turkey Cannon. The bird came out beautiful-tender and flavorful. 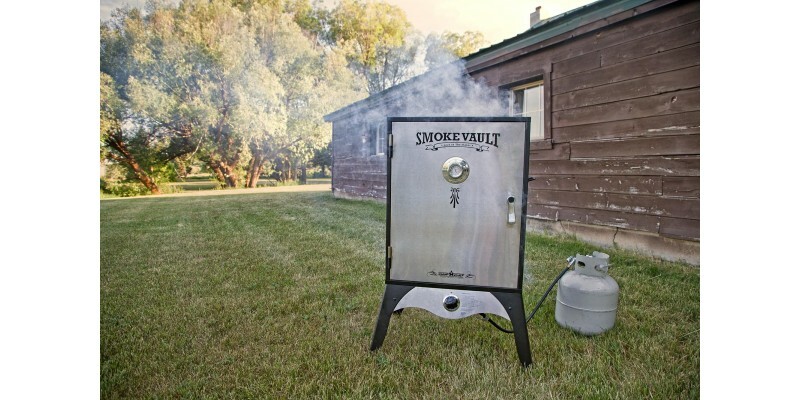 We had guests who said it was the best turkey they had ever eaten._x000D_ The smoke vault is pretty simple to operate. 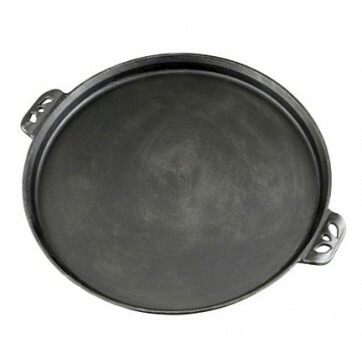 Make sure you cover the drip pan with foil for an easier clean-up. _x000D_ Our next project is ribs. Can't wait to see how they turn out! 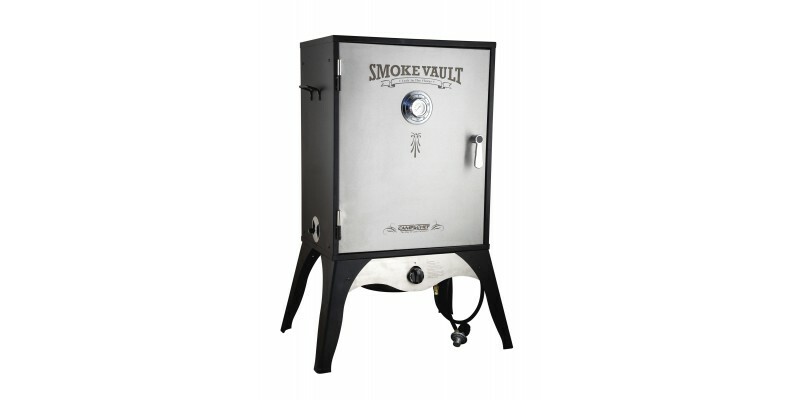 Rated 4 out of 5 by Icy from Get the 24" Smoke Vault. This is the first time I ever used a smoker and for the price and ease of use, I'm glad I finally tried one. I'll never grill my ribs or large cuts of meats again. I'm very happy with it and have already used it for ribs, tri tip, beer can chicken, links..and I'm going to start experimenting with differrnt woods chips, rubs and sauces. I'm driving the neighbors crazy with the aromas. I added a better Temp gauge for better heat control, but I can't think of anything else I'd do. Rated 4 out of 5 by Randy and wife from Almost perfect!! I bought Camp Chef after reading rave reviews on various smoke pit forums. I'm glad I did. I grill but have never smoked. For the most part I love it, but it's still a learning process for me and I'm sure as my confidence grows, I will love it more. 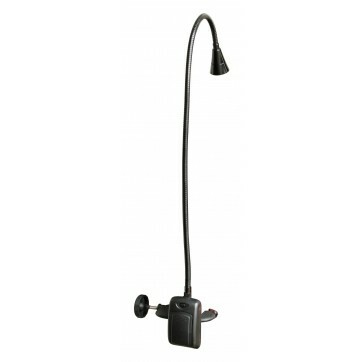 The forums and blogs have been a huge help in getting started on smoking. So far we've made ribs that turned out better than any restaurant, pulled pork, whole chickens, fish and saugage. I had an issue with the fish because I was smoking in rain and wind and the wind was blowing out the flame. I think if I have any issues with weather again, I will move it to my garage with the door open and see if I can block the wind. I plan on doing a couple of turkeys next. 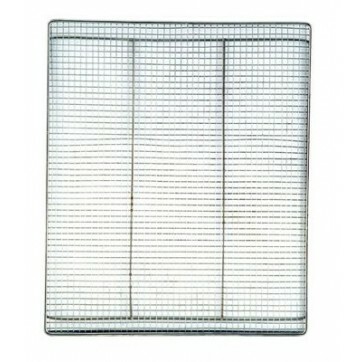 Make sure to order the cover for the grill. 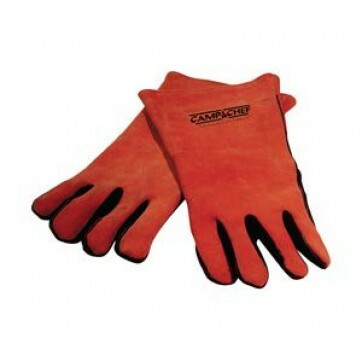 Very durable and will protect the smoker from the elements. 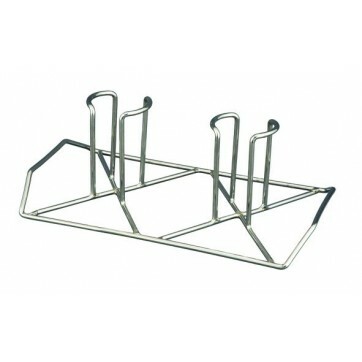 I also loved doing business with the outdoor cooking store because it was so trouble free. 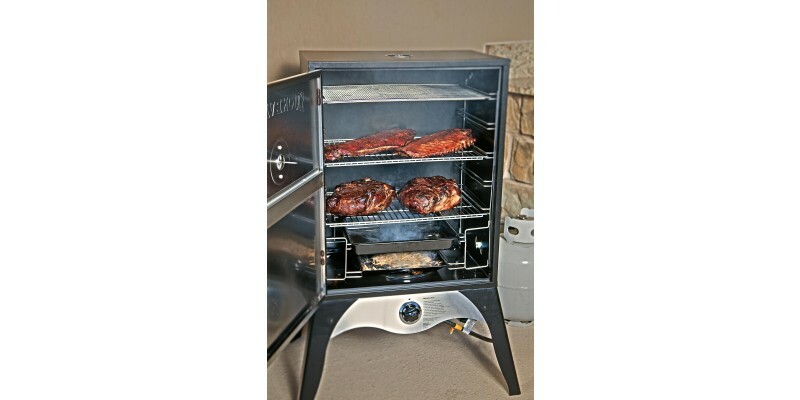 Rated 5 out of 5 by Dennis Erlich from Love this smoker/oven! 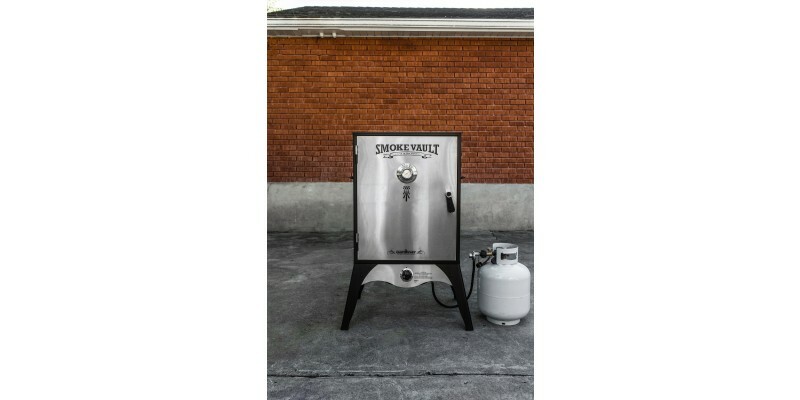 Best smoker I ever used. 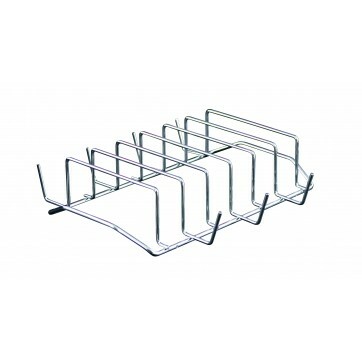 Simple design allows maximum quantity of cooking at once. 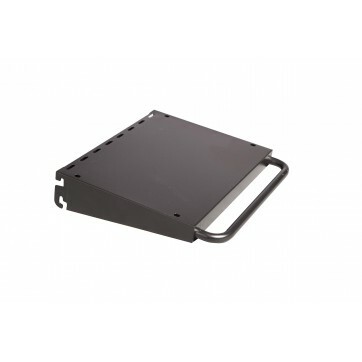 Heats nearly instantly and holds temp from 150 to 350F degrees. At low temp be careful how you close the door. Draft can blow out the flame. 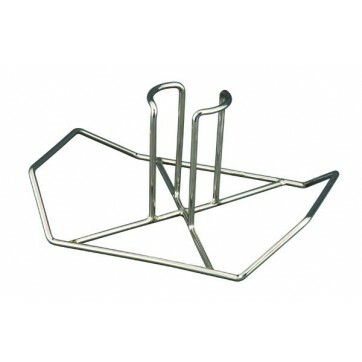 A small problem I had with the unit was promptly addressed by the manufacturer so I would recommend this unit to anyone who likes outdoor cooking. Rated 4 out of 5 by No nick names. 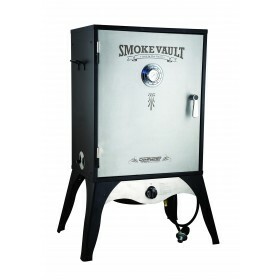 from Camp Chef Smoke Vault 24 This is a great unit if you like smoking meats and other products. Low maintenance and easy to use. 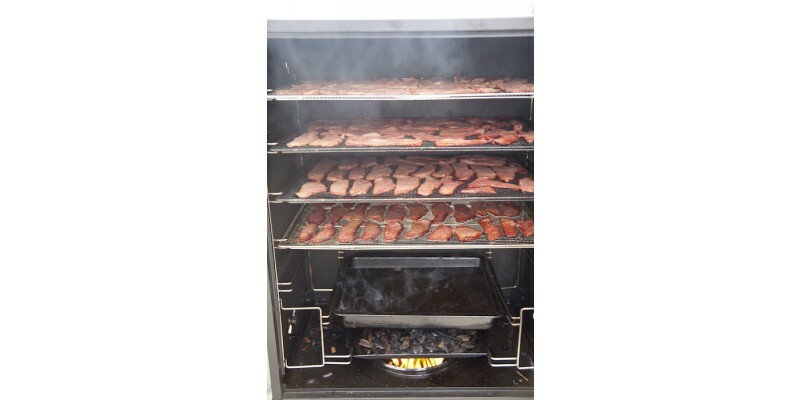 Can maintain a low temp for fish and jerkey, constant temp for 225 degree smoking and hight temps for faster cooking/smoking. The only down for me is that the door sticks at the bottom and I will need to adjust or file it a little. Shipping Dimensions: 25 in. x 17.5 in. x 30.5 in.